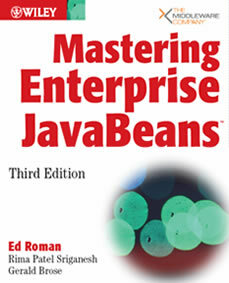 Published in January 2005, the best-selling book Mastering EJB is now in its third edition and has been updated for EJB2.1 and also features new chapters on security and Web services integration. The book is about EJB concepts, methodology and development. This book also contains a number of advanced EJB topics, giving you a practical and real-world understanding of the subject. By reading this book, you will acquire a deep understanding of EJB. This is the official homepage for Mastering EJB Third Edition. Here you can download the entire book in PDF format for free, and you will also find the source code for the book. Errata will also be posted here.